2014, December 4: London, UK. The UK and Afghanistan today co-hosted the London Conference on Afghanistan (LCA) where 59 countries reaffirmed their commitment to supporting Afghanistan to become a secure and stable nation after drawdown is completed at the end of the year. I would like to express my gratitude to the Governments of Afghanistan and the United Kingdom for co-hosting this Conference. We welcome the reform agenda of the Government of National Unity, and we re-affirm our commitment to the peoples of Afghanistan in their journey towards a stable, peaceful and prosperous future. 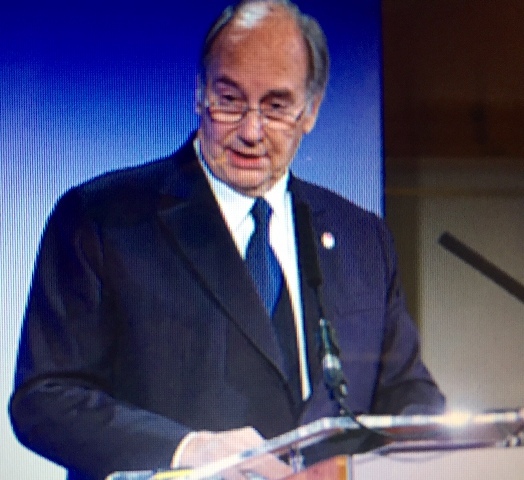 For the Ismaili Imamat and its Aga Khan Development Network, or AKDN as it is known, it is fundamental that the construction of civil society has been chosen as a national development priority in the Government’s reform agenda. The AKDN has been designed and grown specifically to support that goal, wherever we are present. We vigorously support the commitment of the National Unity Government in that endeavour. It can be achieved through partnerships, pluralistic equitable development, creating an enabling environment for peace and an improved quality of life in both the rural and urban contexts. An effective enabling environment for civil society should seek to foster meritocracy, ethics and mutual accountability. As a longstanding partner, including as one of the largest private employers and contributors to the Exchequer, AKDN’s investments and development objectives follow an integrated, multi-sector approach. We have established long-term institutions in the region, including schools and hospitals, banking institutions, leisure facilities, and telecommunications. We are pleased to announce further innovations, including in cross-border hydropower, mobile banking, tele-medicine, and support to small and medium enterprises to serve even the most marginalised populations..
First, we must focus on inclusive economic participation. This will require approaches that go beyond traditional instruments or investment criteria. AKDN is pioneering, with its international partners, a multi-input area development facility that engages both the public and private sectors. Just as investments in agriculture, energy and infrastructure are important, culture too is a trampoline for development. Second, we must accelerate human resource capacity creation from early childhood to tertiary education, including in particular, market-relevant skills development and vocational training. Afghanistan needs more teachers, and special attention must be directed to enhance the quality of education, in order to achieve international standards. We will contribute to this priority through our school network and our two Universities, the Aga Khan University and the University of Central Asia, which has campuses in Tajikistan, the Kyrgyz Republic and Kazakhstan. Third, women’s participation in society is vital to ensure an improved quality of life. From education to health, participation in local governance to leadership in business, we have witnessed the potential for women and men to work alongside each other, while respecting the ethics of Islam, to build their communities. Fourth, we recognise the importance of regional cooperation and trade. This requires stabilizing Afghanistan’s frontiers. AKDN, with other governments of the region, has sought to initiate the necessary steps by building 5 bridges across the Pyanj and creating local markets, thereby linking Afghan Badakhshan to Tajik Badakhshan. Perhaps this initiative deserves replication. In this context it is equally important to ensure that the rich pluralism of Islam within Afghanistan is respected, and sustained for the peace and serenity of all Afghans, as is necessary today throughout the Muslim world. Let me finish by saying that the priorities identified by the government will require sustained commitment and new mechanisms to create a meritocratic civil society. AKDN will most certainly contribute with its variegated resources. 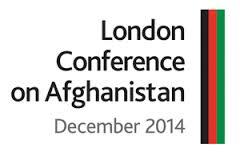 The London Conference on Afghanistan took place on 4 December 2014, co-hosted by the governments of the UK and Afghanistan. Associated events took place during the afternoon and evening of Wednesday 3 December.